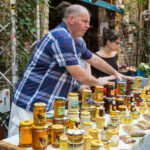 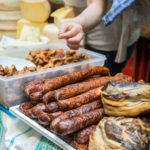 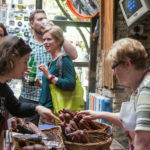 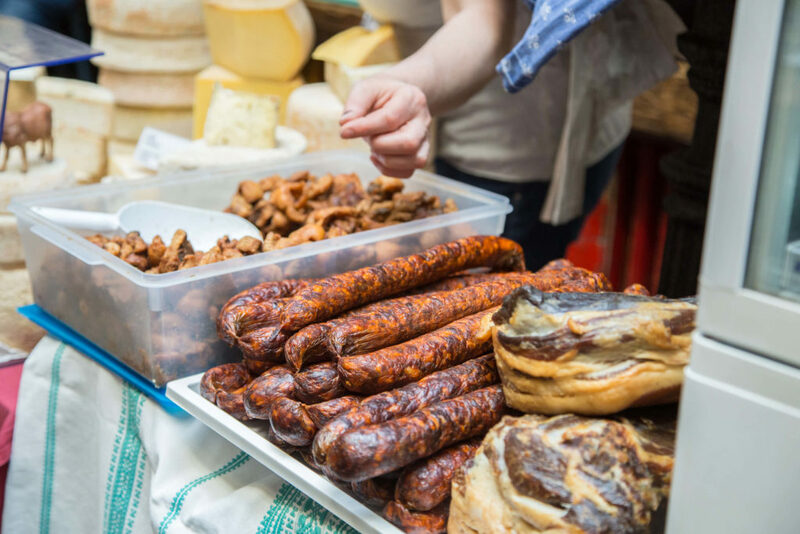 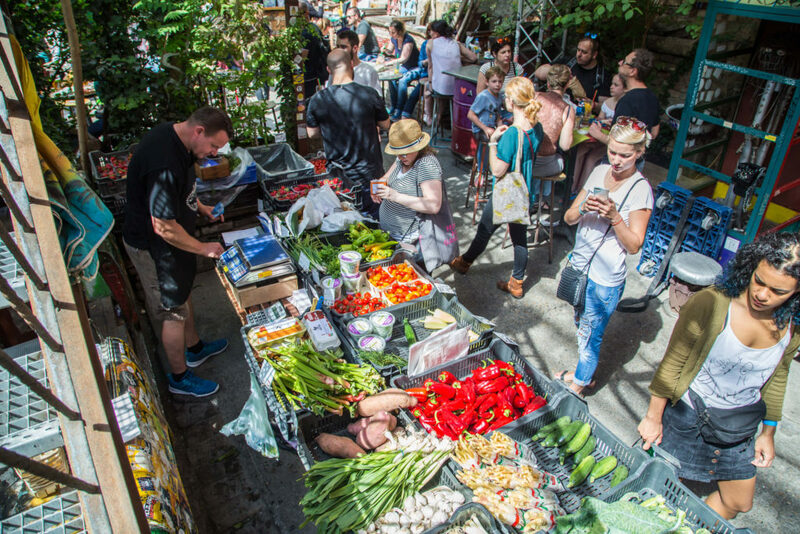 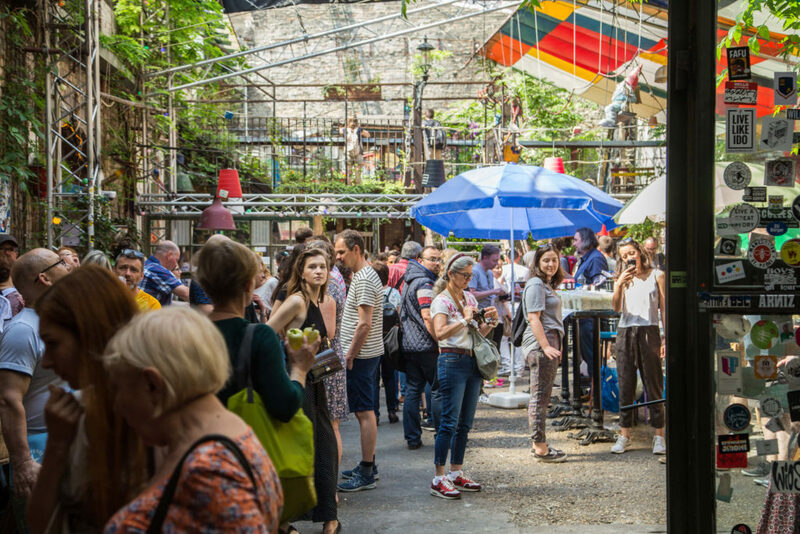 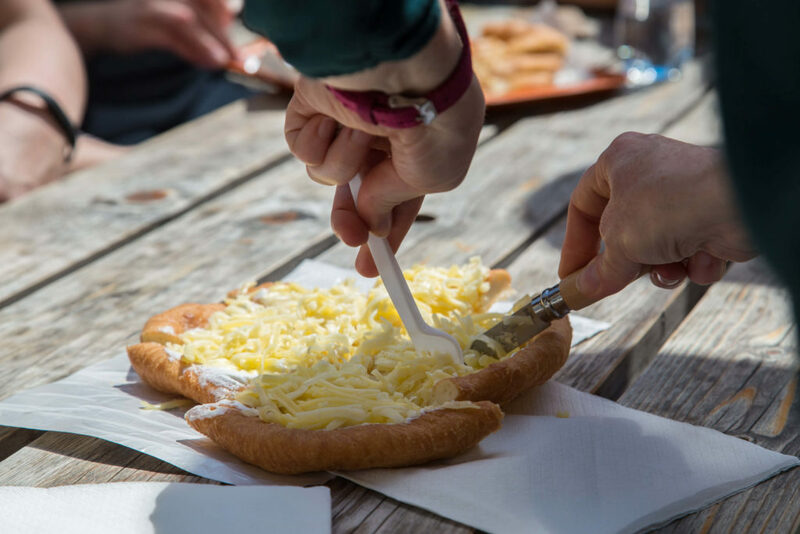 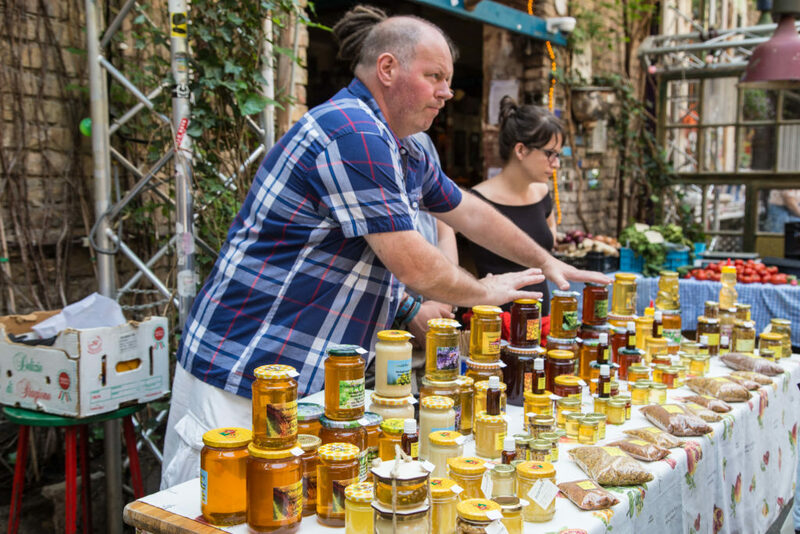 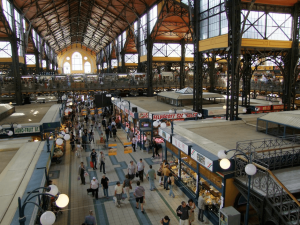 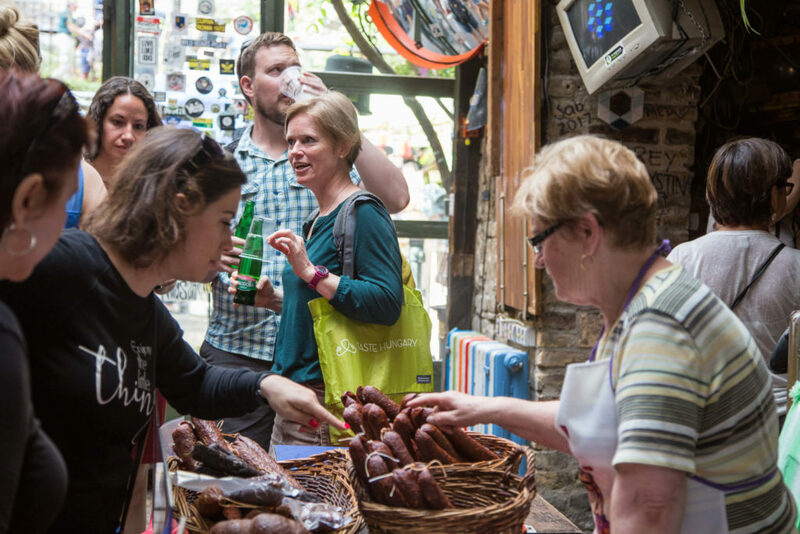 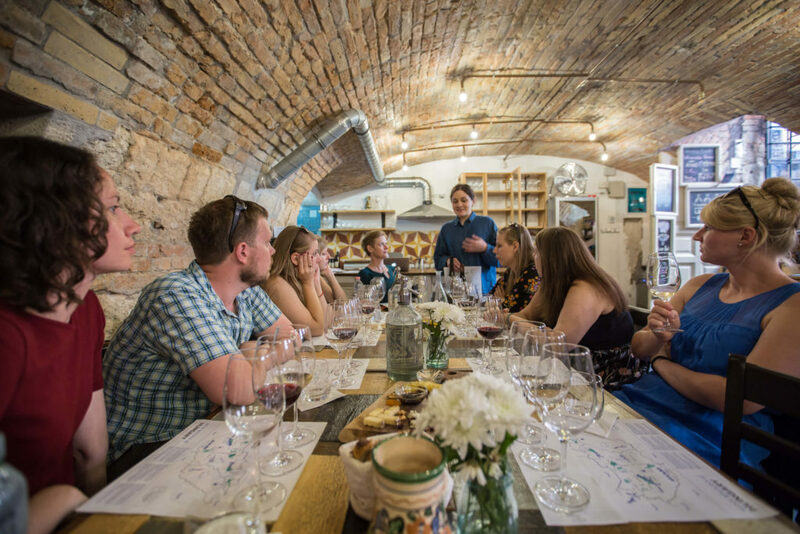 Our Sunday Culinary Walk is a thorough introduction to Hungary’s food and wine, through a visit to a market, and tastings of many delicious foods and drinks. 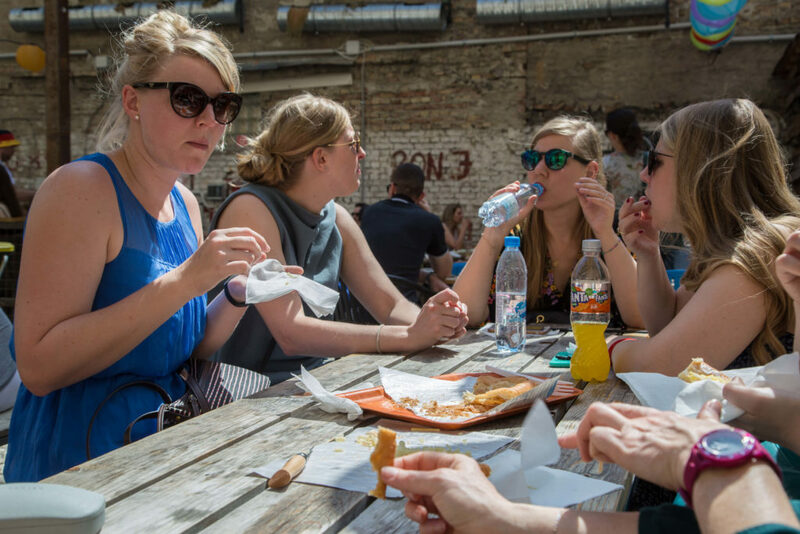 Just because half of Budapest is closed on Sundays, doesn’t mean we shouldn’t eat, drink, and explore! 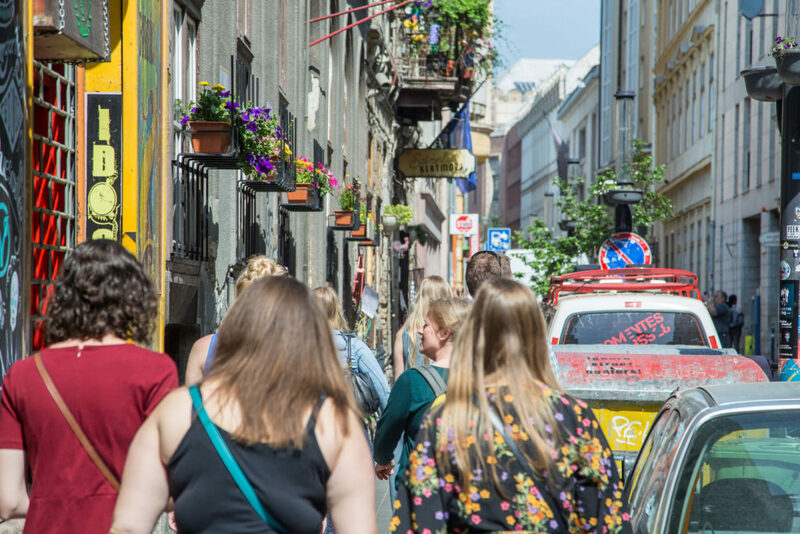 Our Sunday Culinary Walk has a different route than our signature Culinary Walk (Budapest’s first food tour), but the same goal. 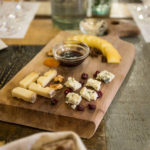 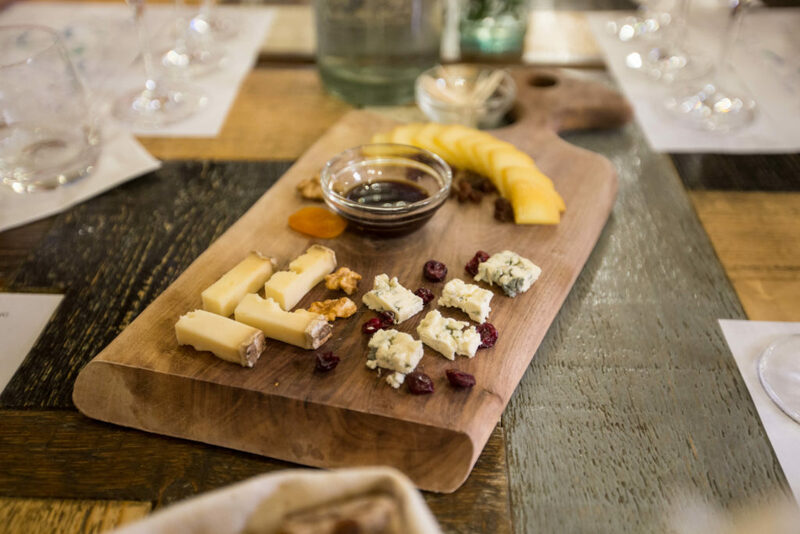 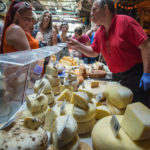 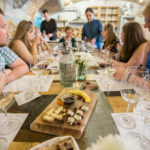 We’ll introduce you to local culinary and wine culture through classic flavors, unique wines, history, and stunning architecture. 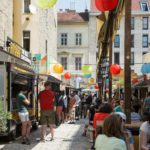 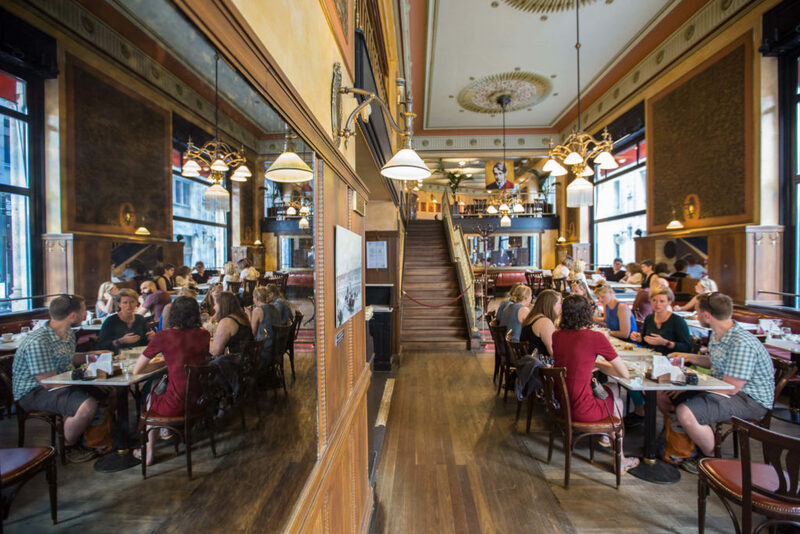 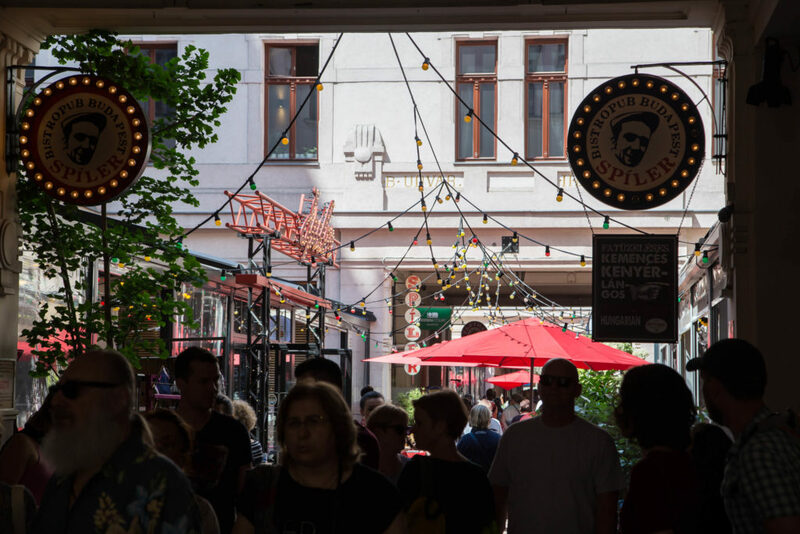 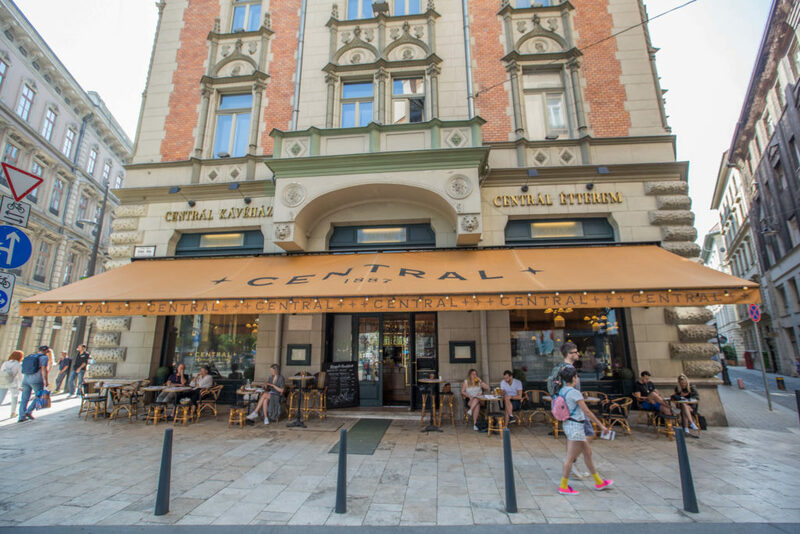 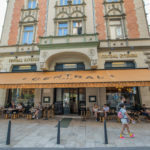 You’ll explore central Budapest’s lively neighborhoods through the lens of food, tasting a variety of delicious foods and drinks as your guide tells you the stories behind them. 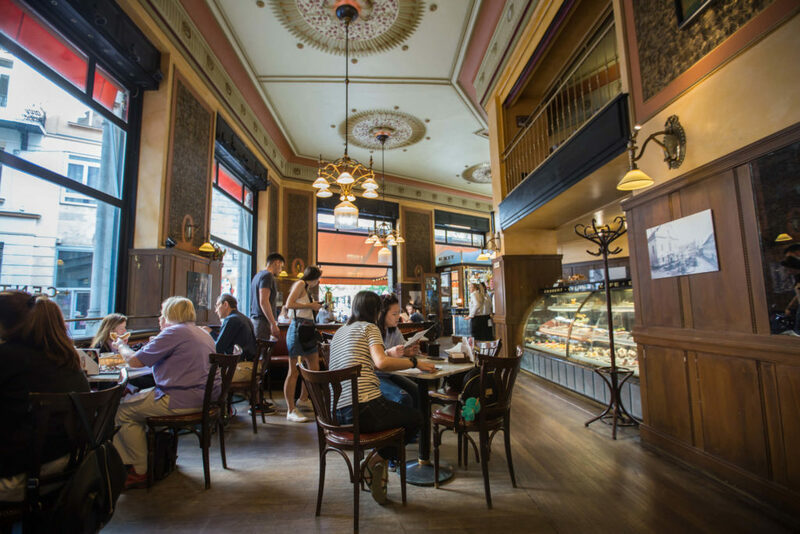 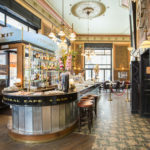 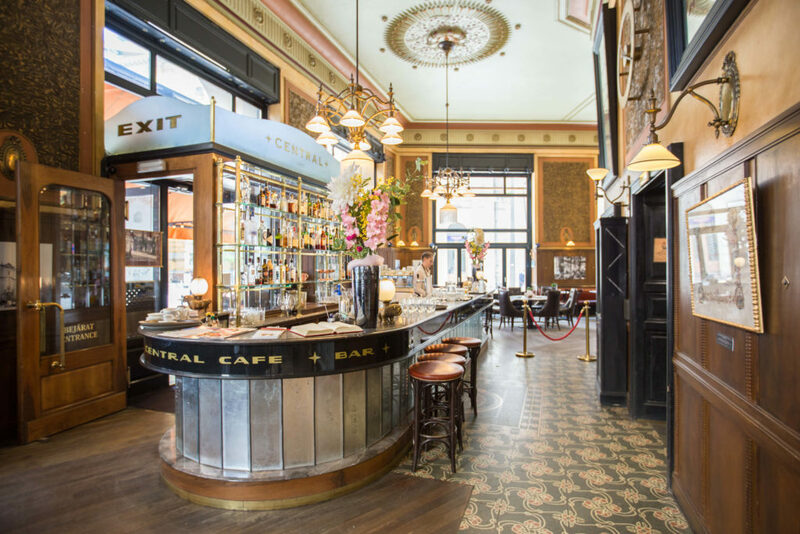 We’ll begin at a gorgeous coffeehouse, one of the original Budapest cafés which has been restored beautifully. 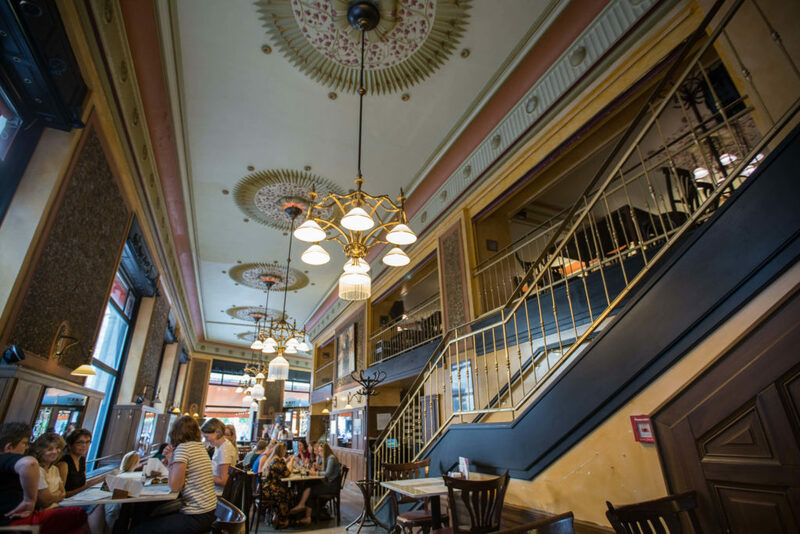 Your guide will explain how these places were once hubs of creativity, with writers and artists gathering here to work and socialize. 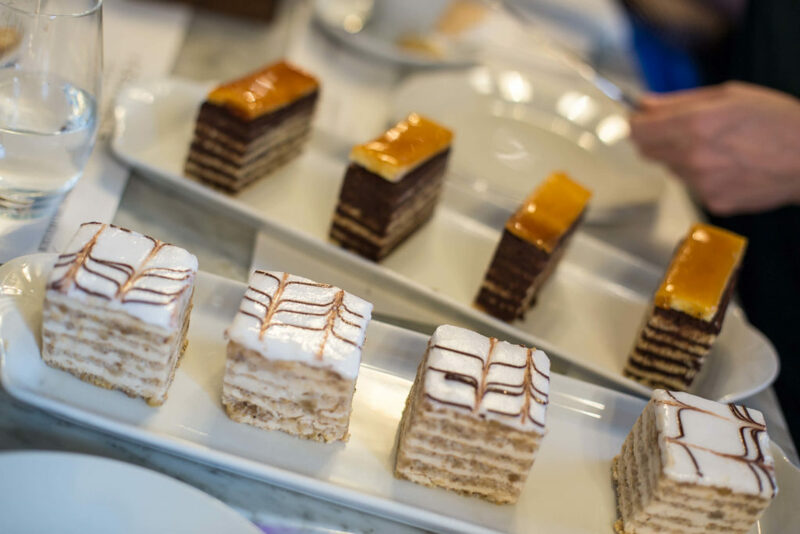 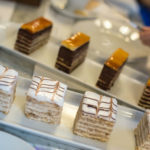 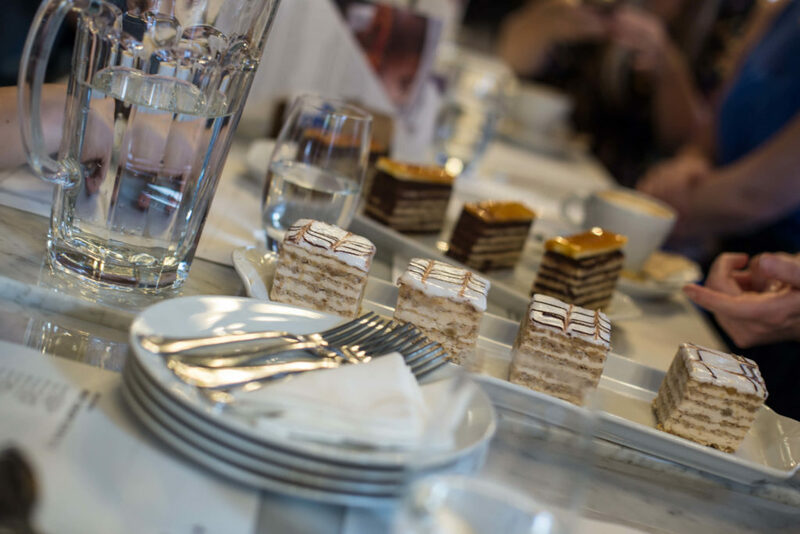 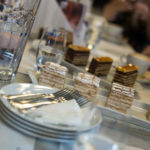 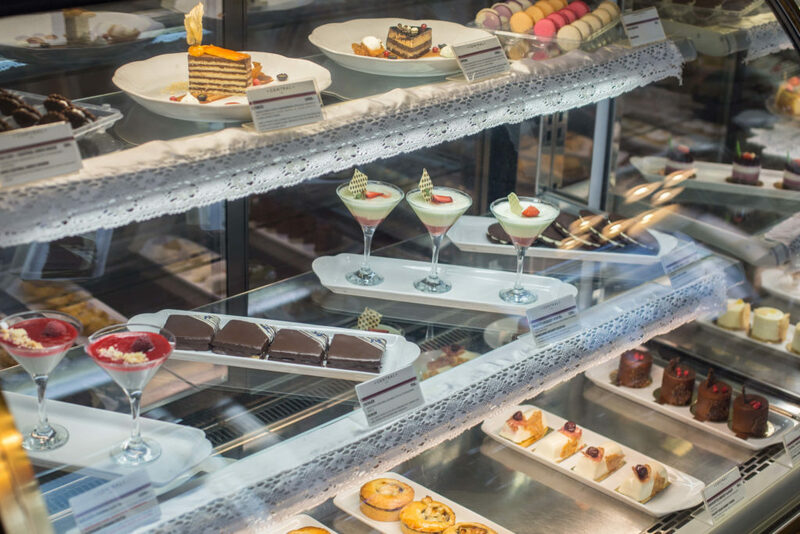 We’ll taste several traditional elegant Hungarian desserts here, and have a coffee to fortify us for the day! 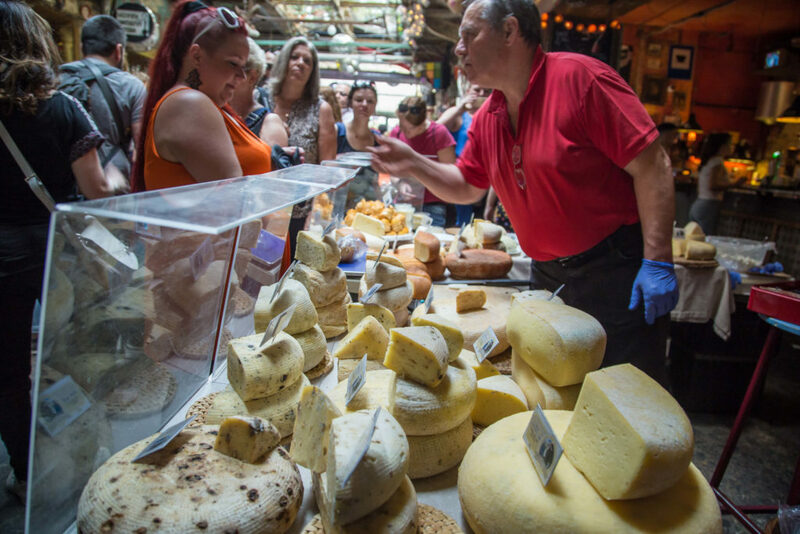 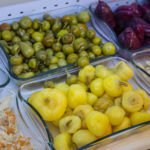 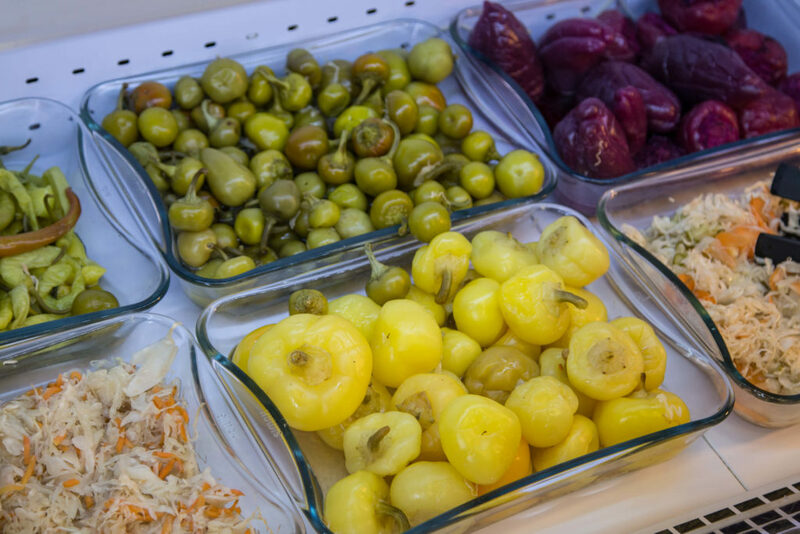 Most market halls are closed on Sundays, which gives us the opportunity to explore a Sunday farmer’s market, where farmer’s and producers bring their delicious home-grown and home-produced goods to the center of the city. 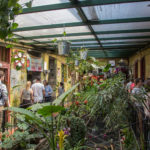 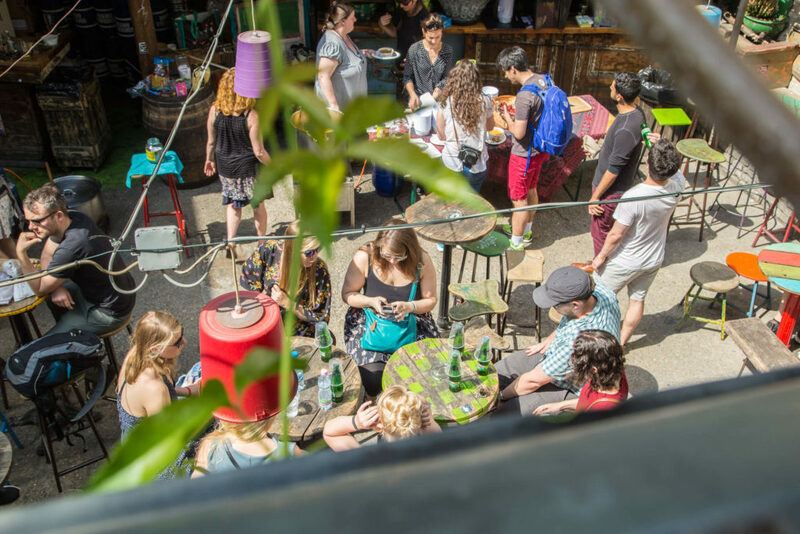 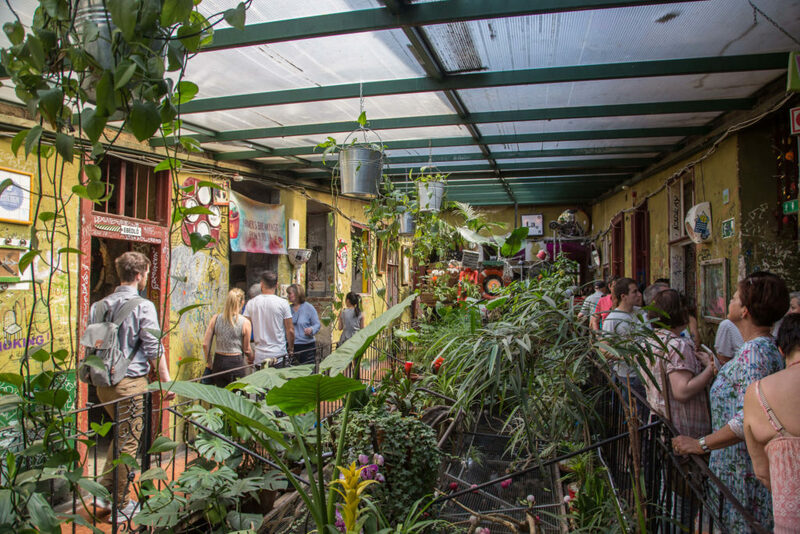 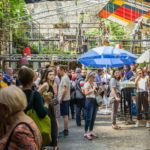 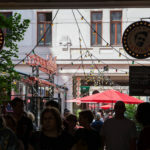 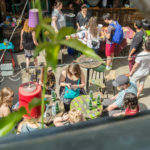 This farmer’s market is unique because it’s located in a ruin bar, a whimsically decorated old building which by night is full of young locals hanging out in its warren of different rooms-turned bars. 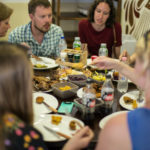 As we check out the unique decor of the place, we’ll taste a variety of foods (and a local spirit). 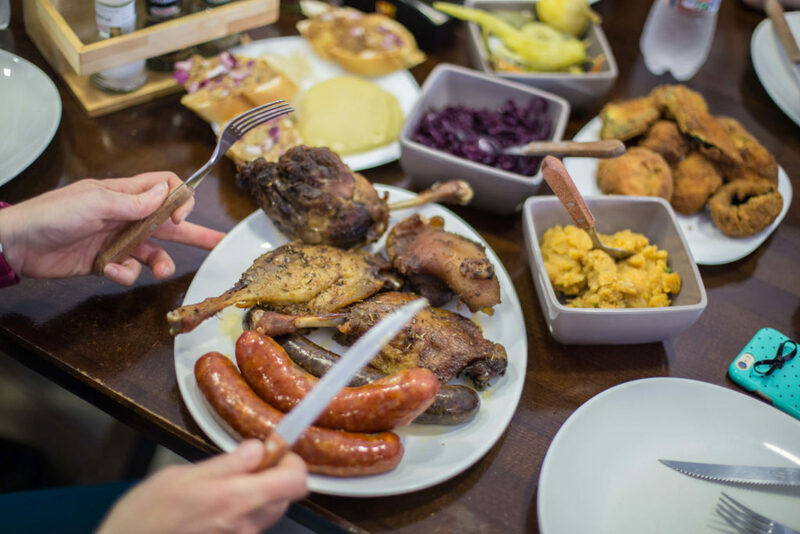 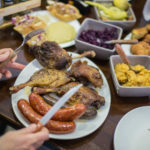 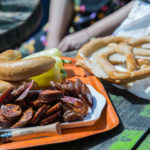 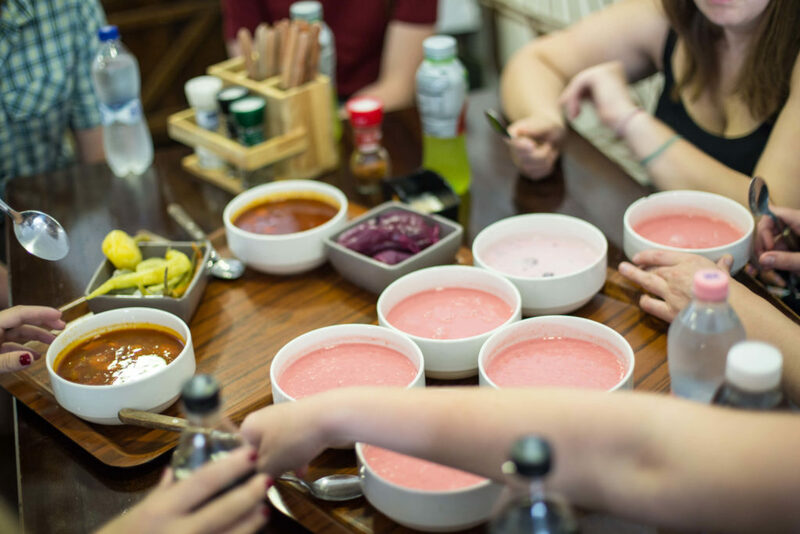 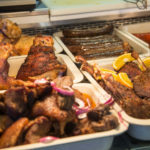 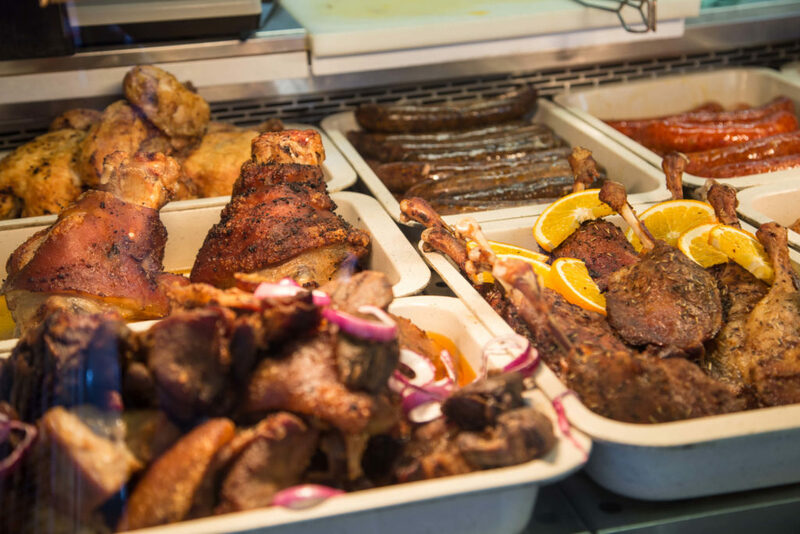 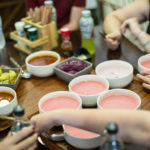 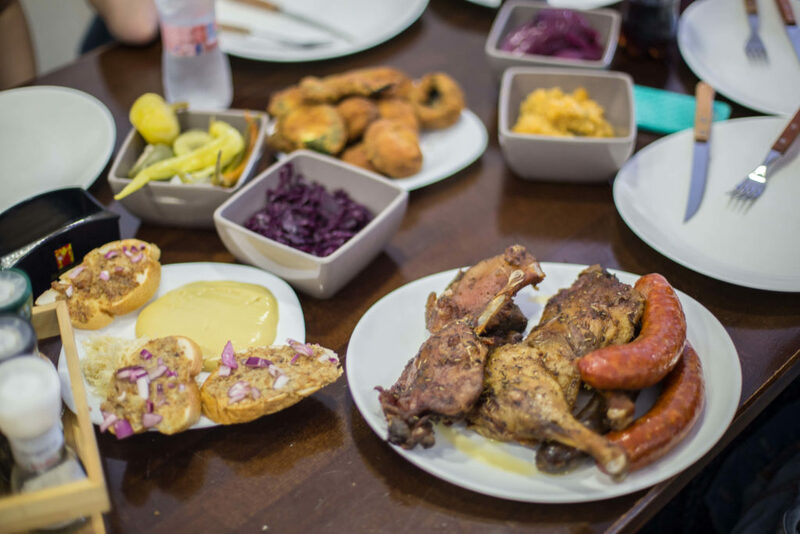 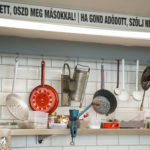 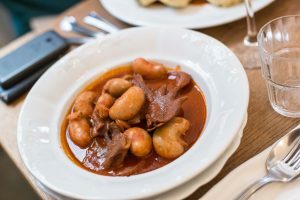 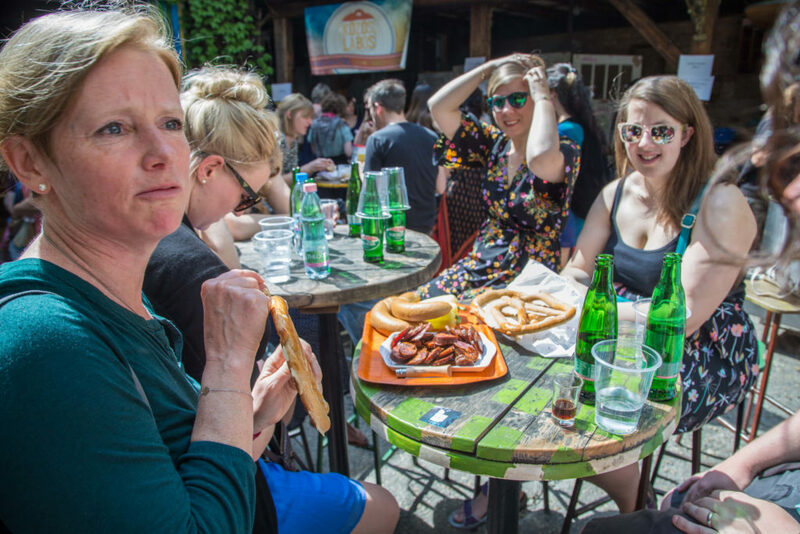 Meanwhile, your guide will discuss the culture of eating and drinking in Hungary, the ingredients, the dishes commonly made from them … and just what it is that Hungarian home-cooks do with all of that pork fat, paprika, and goose liver. 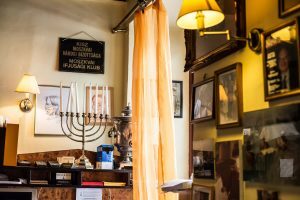 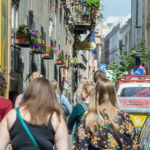 From there, we’ll explore the surrounding neighborhood a bit, the old Jewish Quarter, and head to a local butcher where we’ll settle in for a lunch feast of traditional dishes. 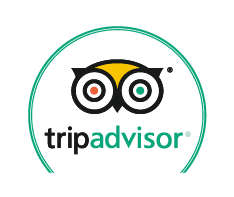 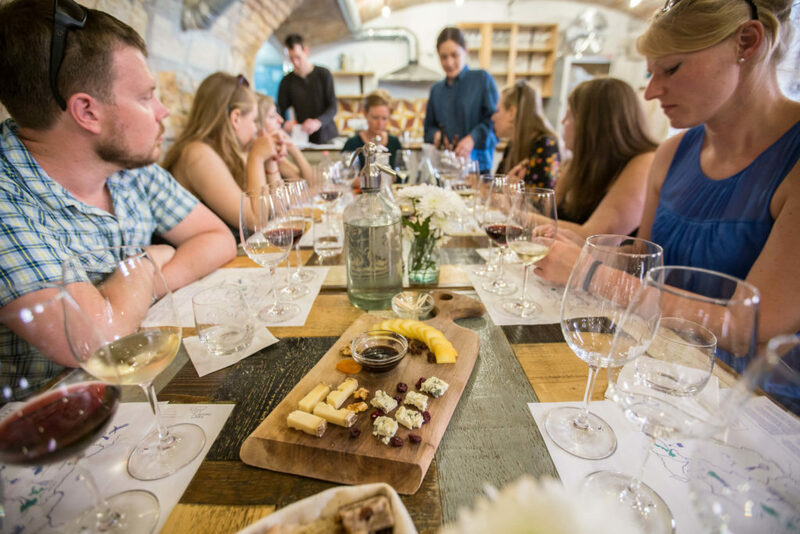 After lunch, we’ll make our way to the Palace Quarter to a wine cellar where we’ll enjoy a tasting of three glasses of quintessential Hungarian wine (with pairings of local artisan cheese). 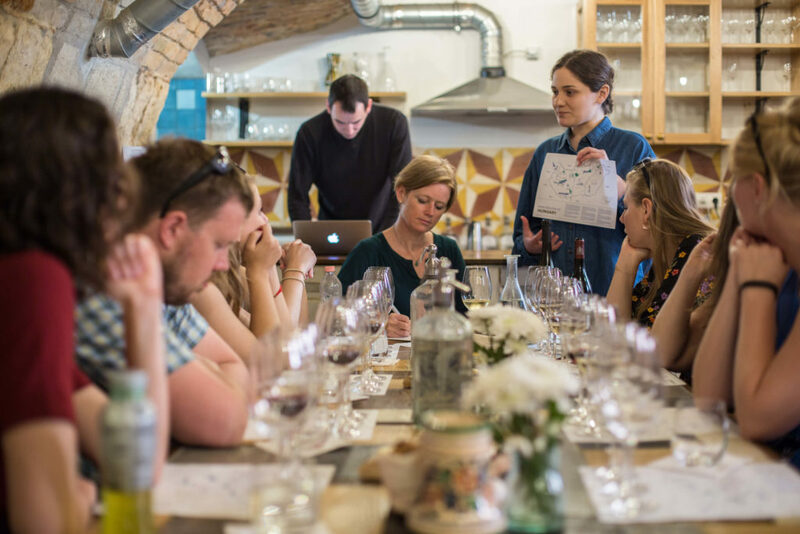 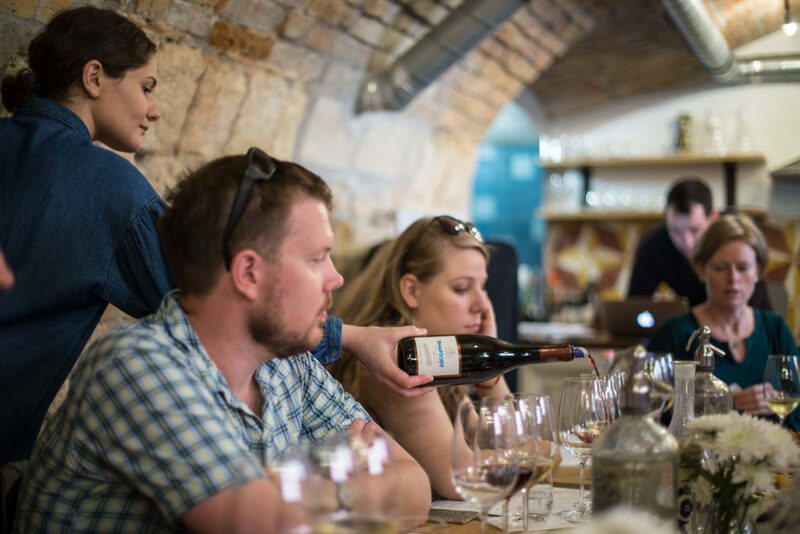 A sommelier will introduce us to the Hungarian wine regions, varietals, and styles, helping you put the Hungarian wine scene in context. 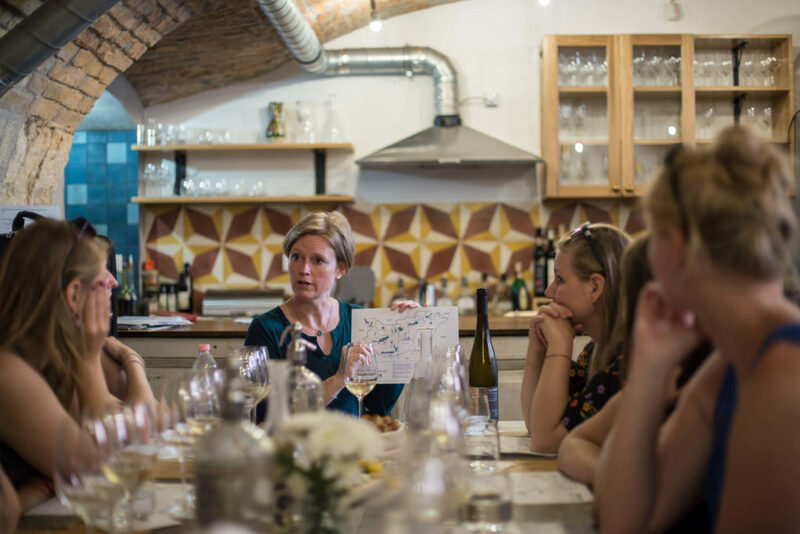 We’ll end with a taste of the spectacular golden-tinted Tokaji aszú wine. 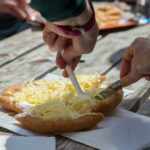 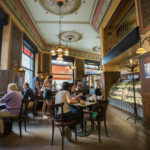 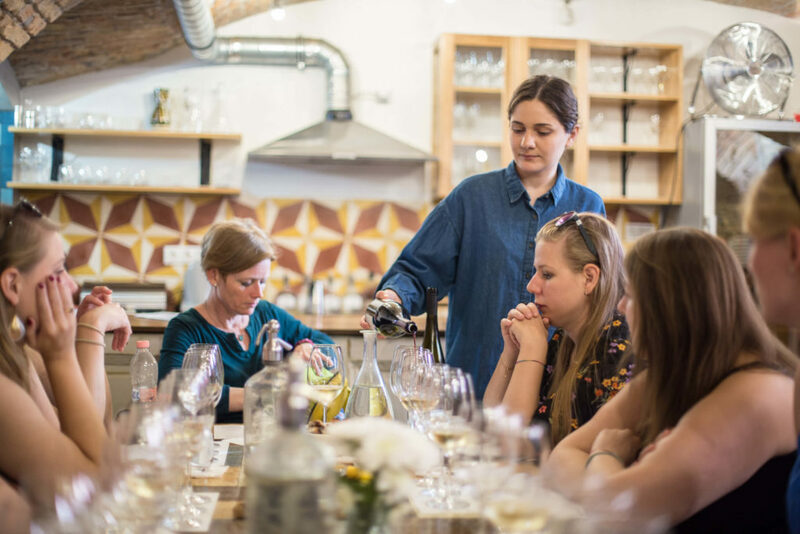 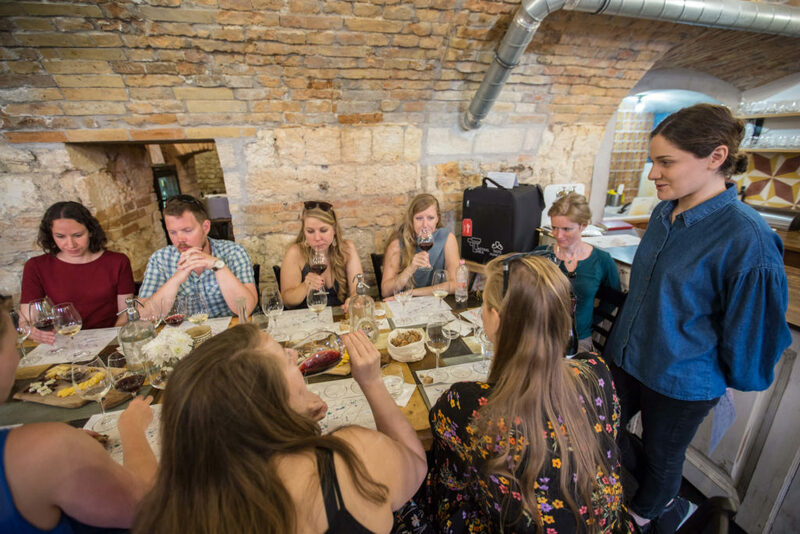 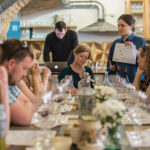 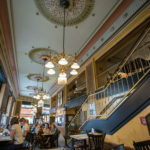 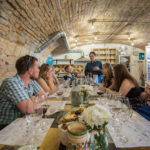 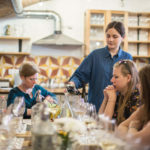 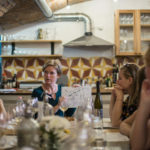 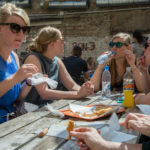 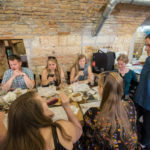 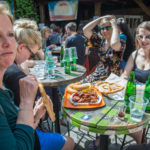 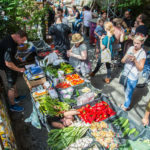 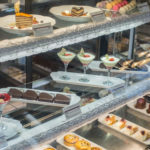 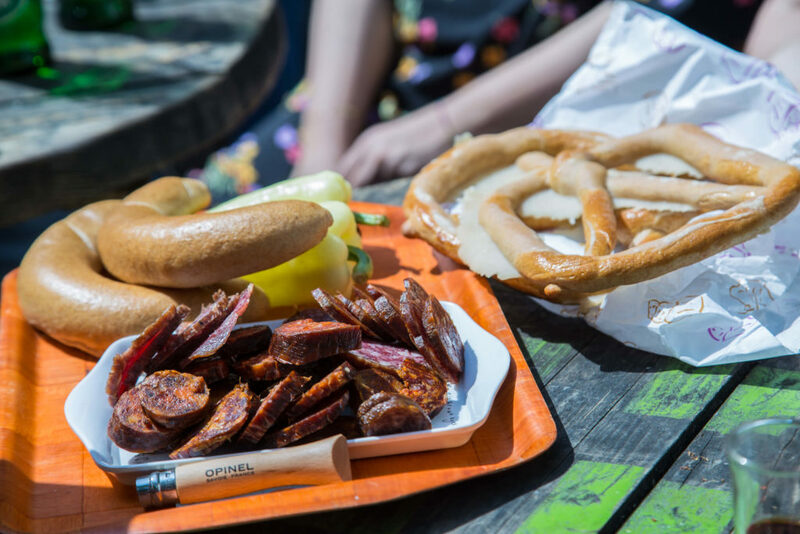 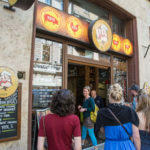 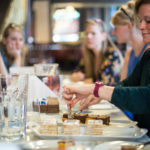 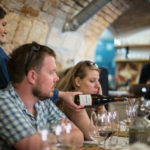 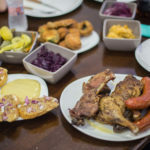 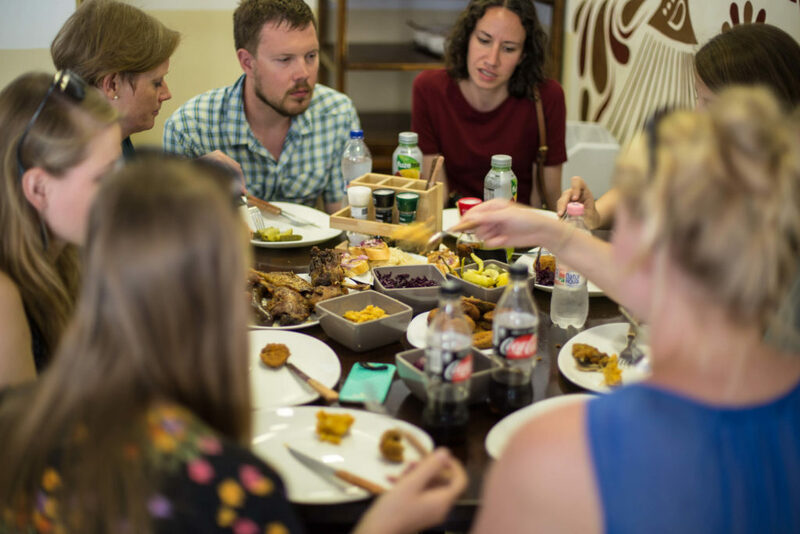 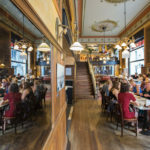 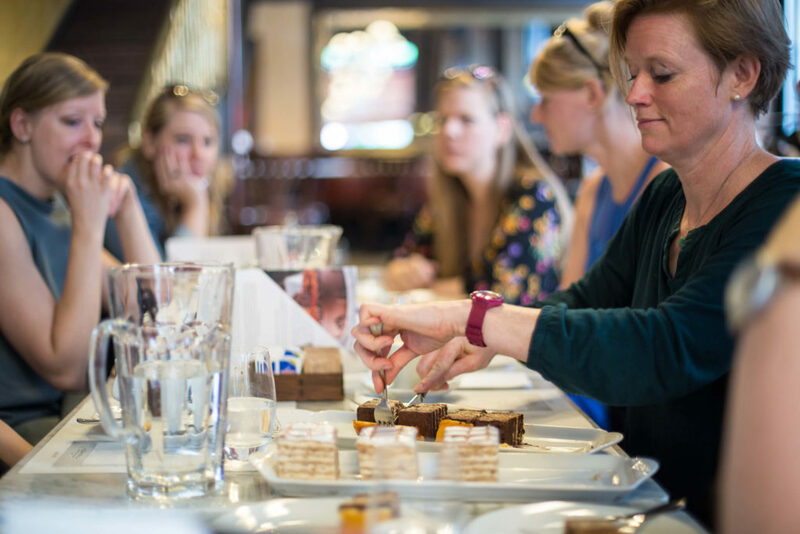 This tour will give you a taste of Budapest’s exciting (and delicious) food scene, introducing you to some of the ingredients, dishes, wines, and spirits which are the backbone of Hungarian culinary culture. 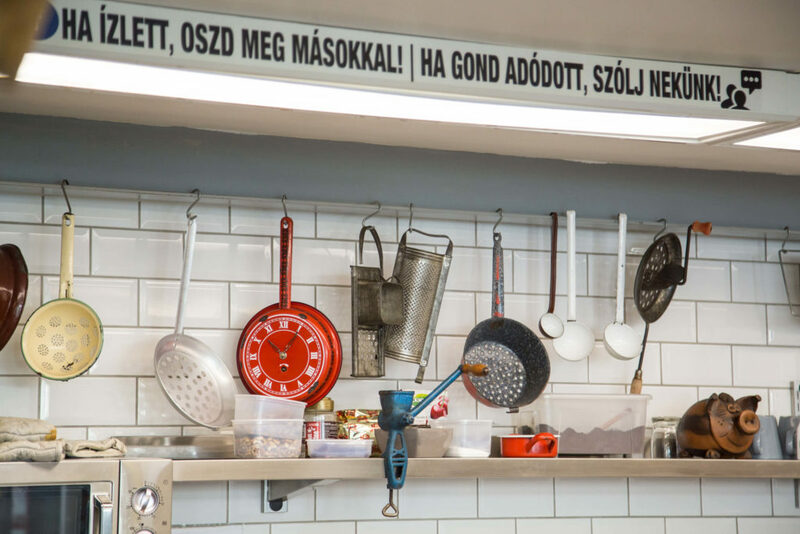 Make it a full day! 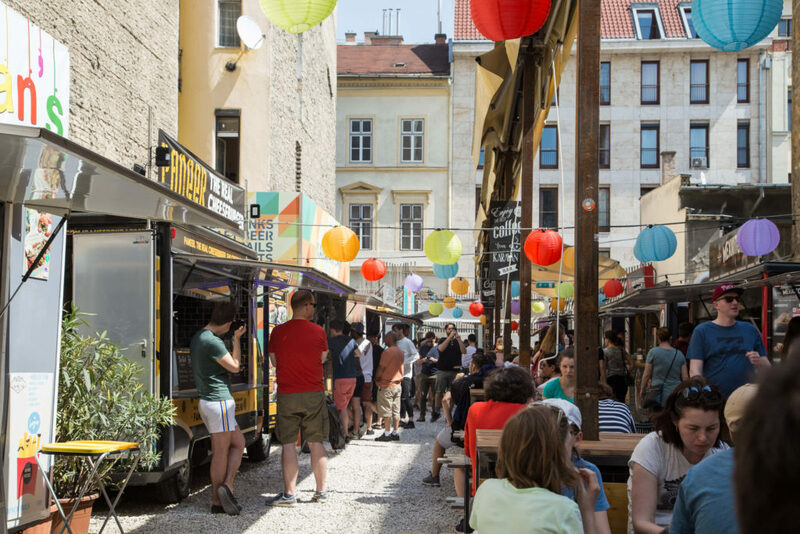 We designed the Sunday Culinary Walk to complement the Budapest Grand Walk. 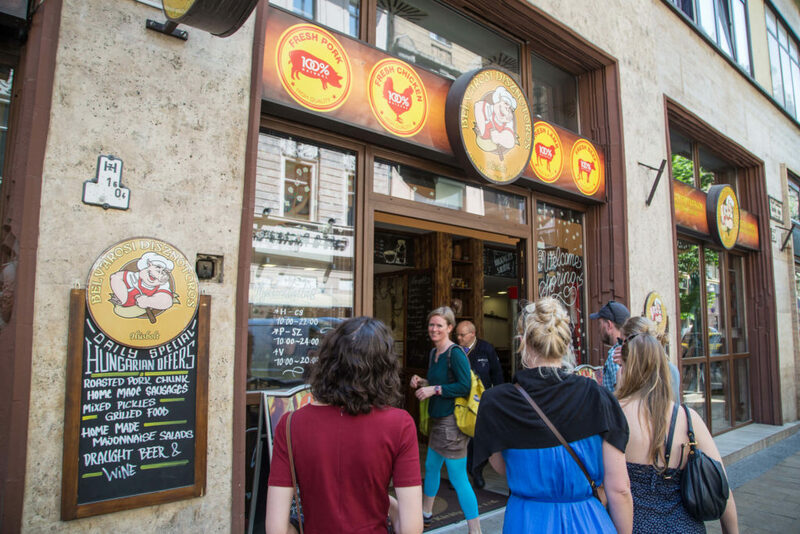 The Grand Walk begins where the Sunday Culinary Walk ends, so it’s convenient to take these tours on the same day … and you’ll fully experience Budapest’s culinary delights as well as its history!